Mother of 6 pretends to be a cancer patient to scam money. A vile scam exposed after a mother of 6 pretends to be dying of ovarian cancer. They thought they were helping a young mother of six who was dying from terminal ovarian cancer. Little did they know it was a scam. A vile heartless pack of lies designed to simply steal money. The mother of six never had cancer. Her detailed Facebook page documenting her battle and the GoFundMe Fundraiser nothing more than fraud. On September 12 John-Elle Heagney, who claimed he was Elle’s fiancé, wrote of the heartbreaking news that the mother of his six children ‘Elle’ was dying of cancer. He claimed that she had been diagnosed in April and after six months of chemo she was told that the cancer had spread into her lungs. The man said that he had been forced to give up his job to become Elle’s full-time carer and he was desperate to help her cover the $1600 medical costs a month. 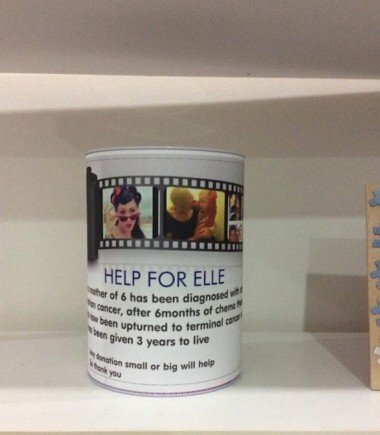 On “Help for Elle” a post read. 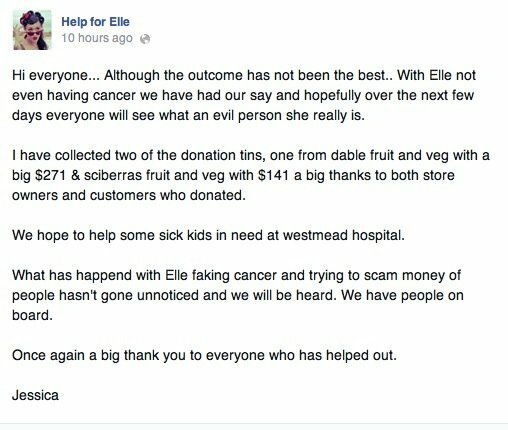 Elle’s cancer battle was documented. Bank account details were provided. Pleas for fundraising items then followed. The money began rolling in. A holiday on the Gold Coast was donated along with cakes, jewelry and other items to be auctioned off. Even a fundraising night was organised – a big event at a major Sydney hotel for late October. The generosity of people was overwhelming. News Limited reports that regular updates were posted on Elle’s health including the apparent benefits being seen from the medical use of cannabis oil. 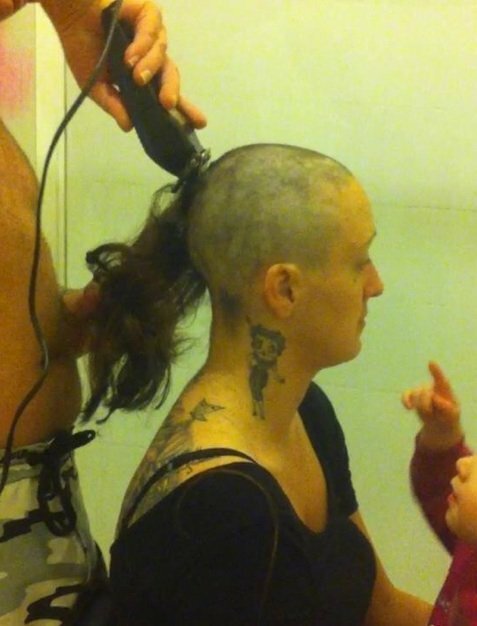 She posted pics of her head being shaven, along side her toddler son who watched on as his mother ‘bravely’ fought cancer. Even the former wife of Carl Williams, the Melbourne Crime boss, donated a substantial amount. But then on October 29 the ‘fiancé’ of Elle informed the 1000 followers that Elle never had cancer in the first place. Just last Friday this appeared on the Facebook page. Those who had believed the scam and genuinely wanted to help out a family in need were left feeling used. Many were angry. Others just sad that a woman could be so calculated and cruel. The Facebook page has since decided to donate the funds that cannot be refunded to Westmead children hospital. 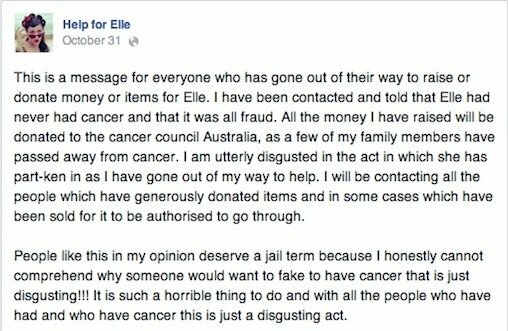 News Limited reports that “Elle” herself is under investigation from NSW Police – though no charges have been laid. News Limited write that the response from ‘Elle’ as to why she set up such a vile scam was a claim of mental illness, “I’ve got extremely serious mental health issues” she said. What she has left in her wake is an online community feeling disgusted, vulnerable and angry at the level of exploitation that took place. We will keep you updated on any charges that are laid against Elizabeth “Elle” Edmunds.